All is well, I'm still catching up and the real job has ramped up again. We do what we can. I just got the SS Brembo rear caliper in so you can add that to the project list. Sent you a PM regarding the 1LE prop valve. Do you know the part numbers for the rear disc brake parking brake cables that have the 9 bolt aussie rear? Hey everyone. 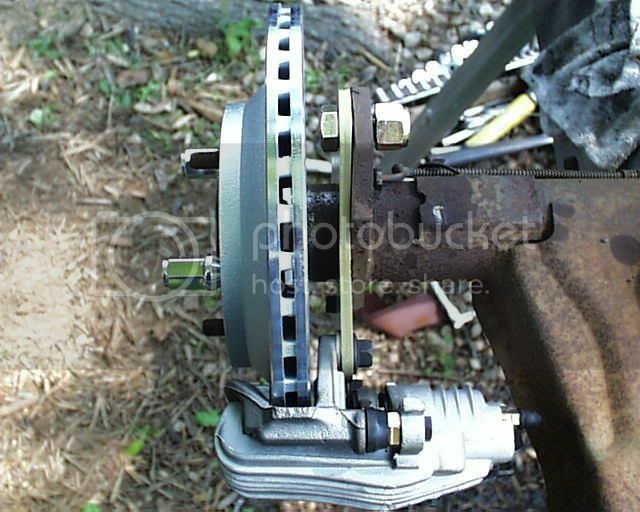 Im a bit upset, this is the 3rd time ive had to get brackets for my LT1 rear calipers. And a very long.. long, wait to get them. I see the hassle free ones, well mine arnt so hassle free, first set were black painted, very thick and nothing like what everyone is posted. I now have a pair that look similar to that of the pictures posted of the "hassle free" except that there is no third arm coming off from it. 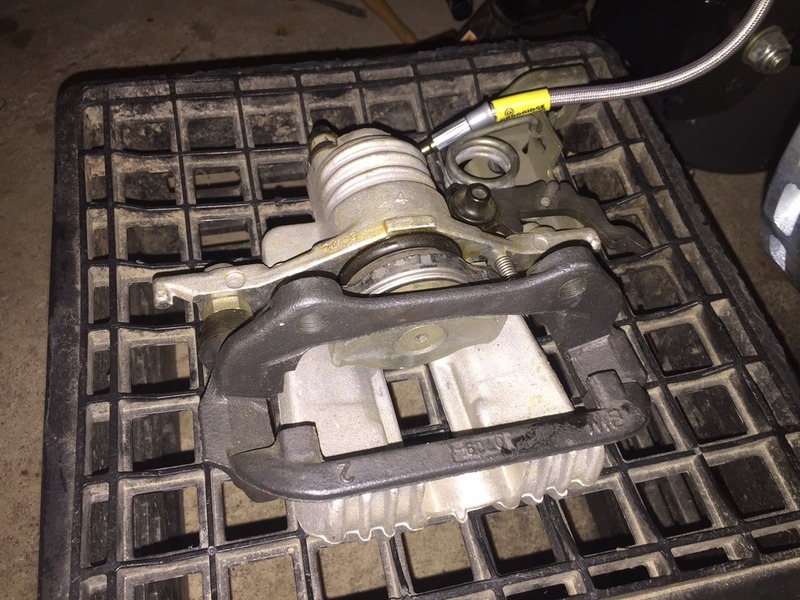 (where it connects to the flange on the axle). I look on the www.flynbye.com website and under third gen camaro, page 3 at the bottom of page, last one. 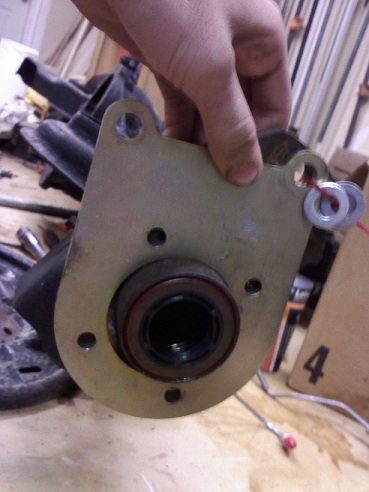 That is what i have and they are labeled for a 9 bolt borg warner. I guess its a discontinued bracket, why is this?. Will these still work? I dont want a Freddie Flinstone special on my brakes, or any part of my car for that matter. I have told Ed the importance of this. I have an immense amount of time and work put into this car. I dont mean to come off in a bad way, however i am looking for perfection in every aspect of this build. If anyone has done this swap, i would image you would expect and want the same. 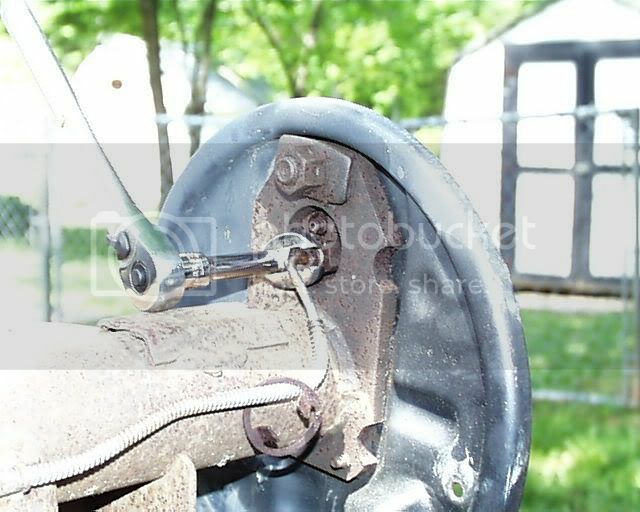 never mind.. yea there wrong brackets.. the dont sit nearly flush against the outer diameter of the axle.. they are bored out a lot larger of a whole.. now what? First off, what car to you have, what type rearend, and stock rear brakes do you have? Your sig is blank so please post up some info. 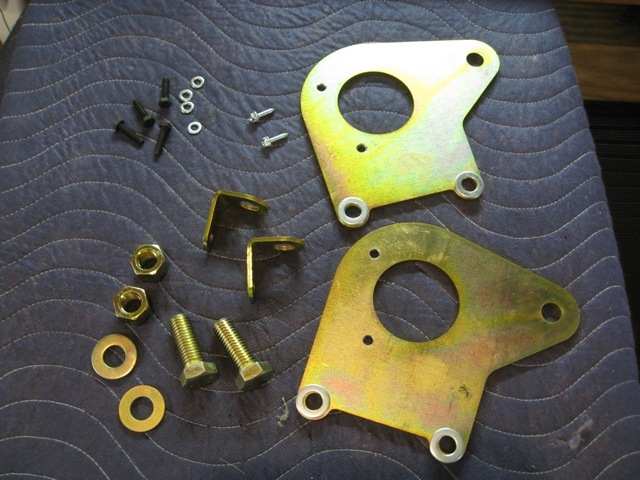 The 9 and 10 bolt disc plates will look similar but the holes are spaced differently, the drum plates will work on either drum rear. Sorry for the questions but with all of them, I lose the specifics. Thanks! Last edited by ebmiller88; 11-02-2010 at 08:22 PM. This will fix your problem. The disc and drum rearends have different center bores and a couple other different dimensions. We'll get you hooked up. I need help with my conversion. 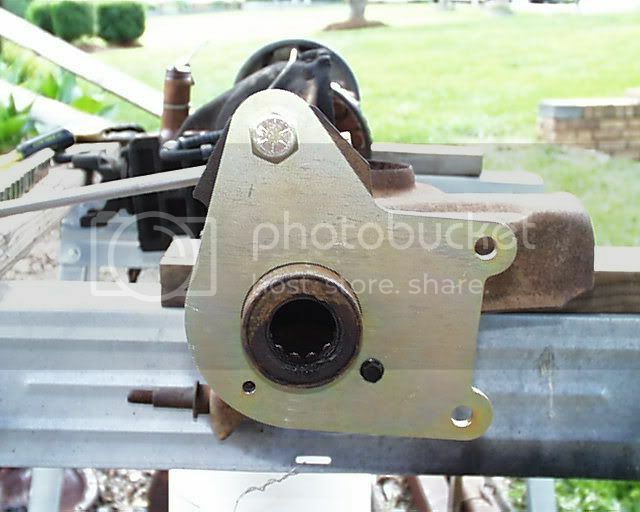 I just bought a 91 z28 with a 12 bolt DTS rear end with drums and want to convert to disk brakes with the 4 ps rear calip. I just called the website and they said the car has a late ford torino rear end, 3/8 bolts/ 3.557/ 2", Ford 9in, and 2.5 whatever all that means. Im not a parts person. I just simply want to purchase what I need and have someone or myself do it. Any help would be great. I have an 86 monte carlo LS i want to do this conversion on. Please email me at [email protected] on the price and additional parts list that i need to purchase to ensure a smooth installation. Ed, just checkign back in with you. I have not heard back yet. I would like to get this kit from you. Engine: 305-LG4/ Soon to be ? Transmission: TH-350/ soon to be ? Since 89-97 calipers and rotors are pretty much the same, I wouldn't know why not. Are you still selling these if so where do you buy them and how much do they cost? I might help a friend do the conversion. Ed...Here it is 4 years later, or 5 since you posted this story. First, are you still "in business" with these parts? Second, I have an 84 Z28 with the 3.73 posi, and I'd really like to keep it. I know it's weak, so I'd like to ask you a couple of questions about it before I sink my money into it. As I understand it, I can swap in the carrier from a 4th gen rear end right in, and even use my 3.73s. Is this right? This way, I could rebuild the rear end, upgrading it a little, along with maybe a girdle to firm it up a little more. Would that entail finding different splined axles? I know it isn't a 9", or 12 bolt, but it would be some better, I think, and it's lasted this long. I will be putting a rather stout small block in place of the tired 305 in there now, but won't be drag racing the car AT ALL. I will be beefing up the NWC T5 some as well. Anyway, can I do the stuff I've talked about on my rear end, and if you don't still make the "kit" can it be gotten anywhere else that you know of? Last edited by JamesC; 03-14-2012 at 07:29 AM. sorry to revive a dead tread but are these still avalible? Check with the company. The link is posted above. EBMiller88, can you please send me a PM. I am interested in getting a kit going with you that I can purchase in the next month. Thank you! First off, sorry to all those I have yet to get back to. I am trying to catch up with PMs and e-mail as best I can. Please be patient and I'll get back to you. Now, as promised here's my thread on the hassle free rear disc conversion for drum rear cars. NO cutting or drilling or mods of any kind involved, just a couple of hours to do the swap. You'll need the brakes, basic hand tools, some penetrating oil, and that's about it. This swap is for 11.6"-12" rear PBR discs on virtually any drum rear F-body and I'm sure a few more cars out there, specifically S10s and B/G bodies with rear drums. I'll do my best to explain it all along the way. 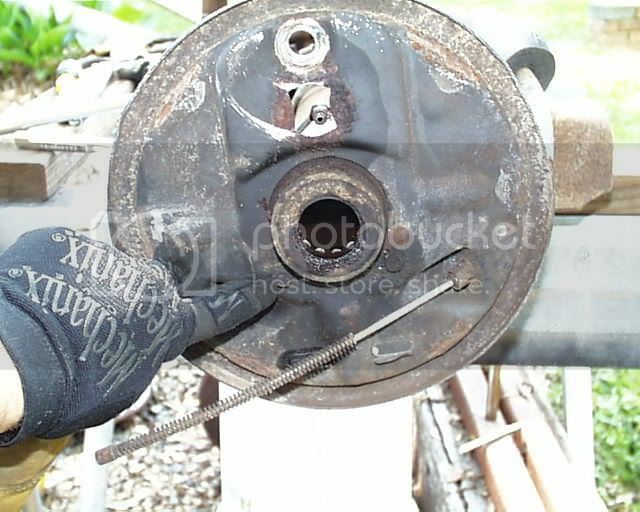 Once all the drum brake stuff is off, loosen up the stock brake line as it goes into the wheel cylinder with a 12mm crowsfoot wrench. Soak it generously with penetrant before you start and it will come loose easily. You can pull the rear axle at this point and give the lube some time to work. 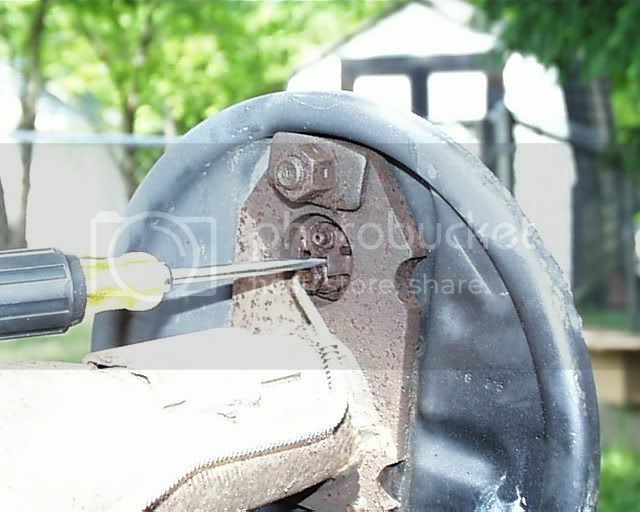 Use a big breaker bar and a 21mm socket to remove the wheel cylinder bolt. It is ON THERE, it's a bear. Hold onto the other side of it with a large Crescent wrench or equivalent. Now you have the bare drum flange ready for the new plate. Slide the new backing plate onto the flange and install the large upper bolt and two lower bolts in place. (One of mine broke off and is not seen in the pic). Reinstall the axle and cover plate now, and refill the diff with new gear oil. 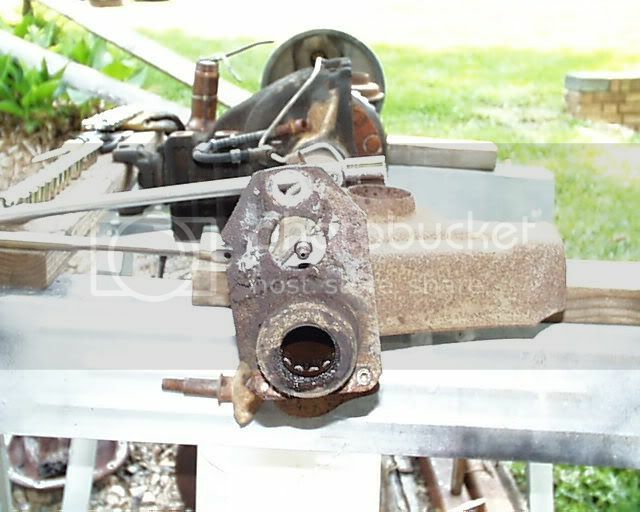 This would also be a great time to replace the axle seals and check the bearings. Top view. Rotor is slightly askew but is fine when tightened down right, I had the lug nuts loose. All in all a very easy swap to disc brakes and keep your stock rearend gears and not have to pull the whole rearend. I will have plates for discs ranging in size from stock 11.6" to custom 13" two piece rotors I will be offering soon. Again, all this is bolt on stuff with no mods required. 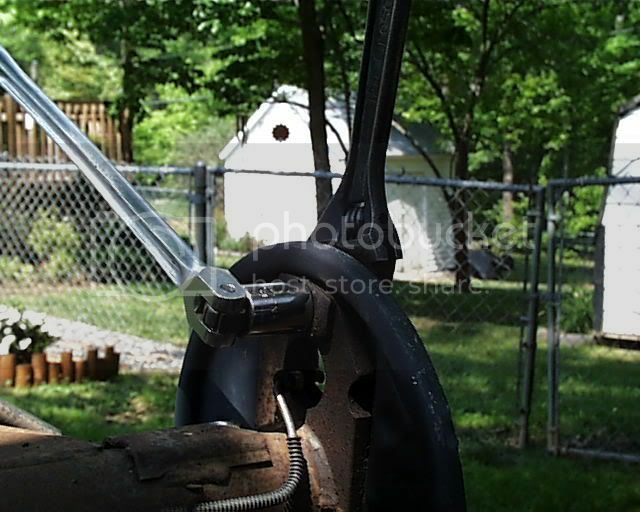 You will also need to 1- modify and/or bend the stock drum axle brake lines to work with the new discs or 2- buy new disc axle brake lines which is what i recommend. Another thing to note. 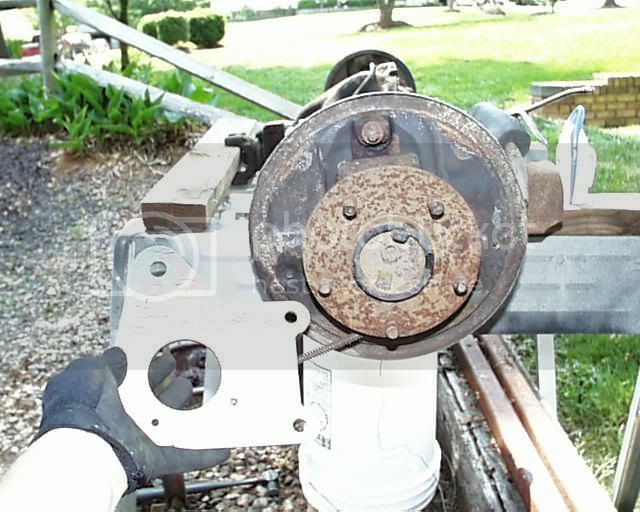 There is the possibility that the axle flanges on some axles will not sit flush against the inner face of one type of rear rotor used with these brakes. They have a larger outer diameter than the rotor has in inside diameter. 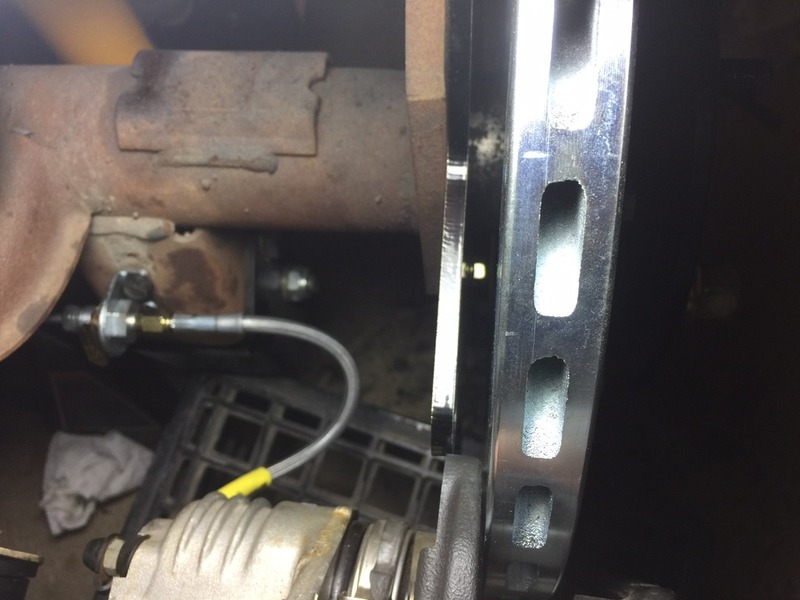 If this is the case, there is another rotor that will work with these brakes, used on early LT1 4th gens and I can tell you what part to get should you have an issue. I'll post a pic of that rotor later in the week. Any questions, please e-mail me or PM me and I'll get back to you as soon as I can, sorry for any delays. 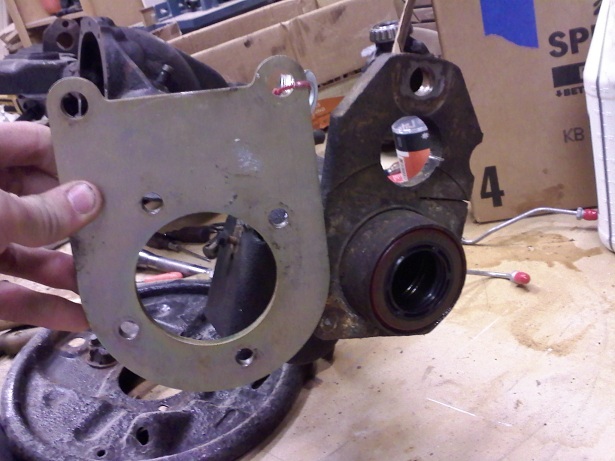 I encountered the axle flange problem with the conversion. Instead of pulling the axles again, I just took the rotors out to a local machine shop and had him widen the inside dimension to 6 3/8 ". They fit perfectly after that. Cost me 20 bucks. I have the following pictures posted in a separate thread but I figured I may get more exposure.and help, here. I am in the middle of doing a drum/disc conversion on a 1991 car with a 10 bolt. I bought the Baer 13" rotors kit for the 93-97 Fbody as well as Eds hassle free backing plates for 13" rotors. The backing plates do not work. 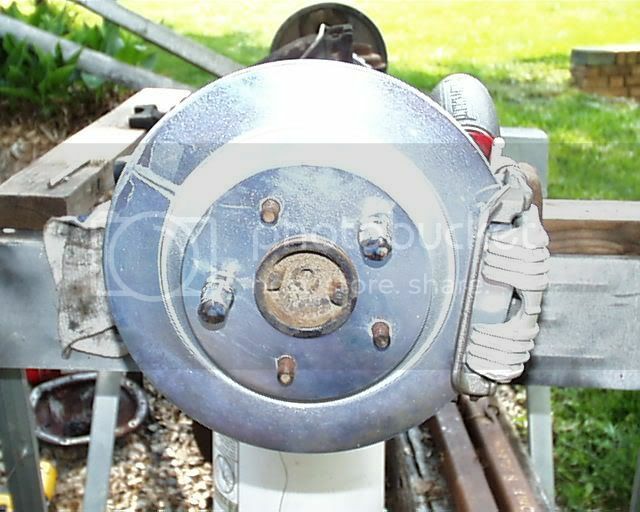 I do not have enough clearance between the plate and the rotor to get the caliper bolted in. I do not know what the issue is here but maybe someone else can chime in with options for me. I am currently getting feedback from a couple other members in my other thread. Thank you to those members. This is how close the rotor is to the backing plate. Lot less of a gap than whats in Eds pictures. 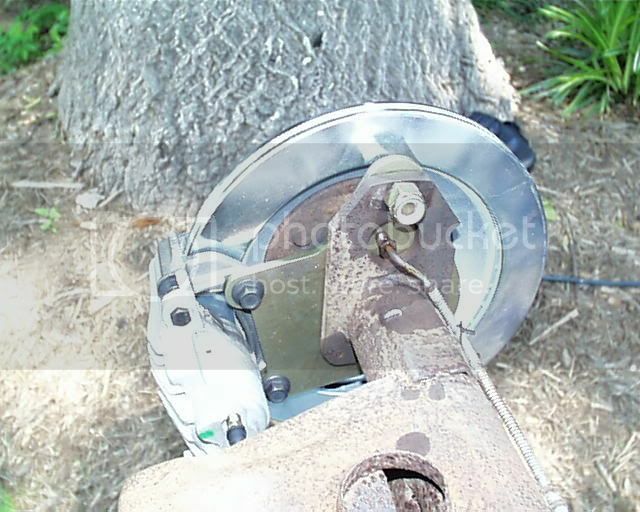 This is the caliper I am using. These are NOS calipers from a 1992 Camaro. These look slightly different than what Ed used in his pictures. 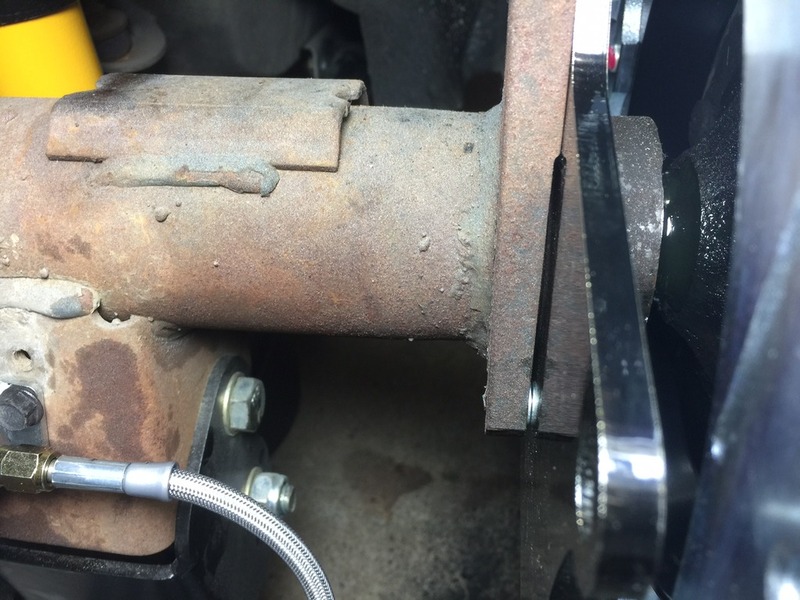 Not sure if this is an issue between 3rd gen and 4th gen calipers and abutment brackets. I know this is a older post but I'm betting you have the wrong rotors on there. The rotor hat/offset is the problem. Are you still selling the brackets to do a disk conversing on a 3rd gen? You were right. I had sorted this problem out last year but forgot to update this thread. I did indeed have the wrong rotor sent to me. I swapped them out and all is perfect now. Only issue I have now is the tiny PBR caliper looks out of place on the 13" rotor. Try http://www.flynbye.com/ Might take awhile to get a reply. thanks drew thay got sum parts on thear ! Can anyone tell me the what the 2 little "L" bracket things are in the kit? Post 221? ....haven't got to the rotors/calipers yet. I imagine when I do the answer will present itself, but figured I'd ask. Check 232. Pic 1, where the brake lines come together. Sweet. Thanks. ....I figured when I got the brakes I'd probably figure something out, but figured I'd ask!!!!!!! Swapped rears, any tricks for e-brake cables?